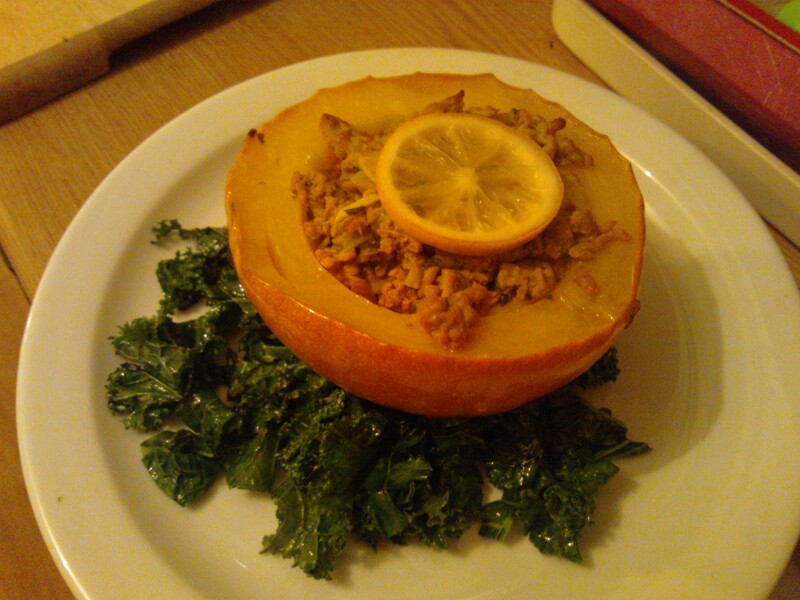 This dish is a real comforting dish. 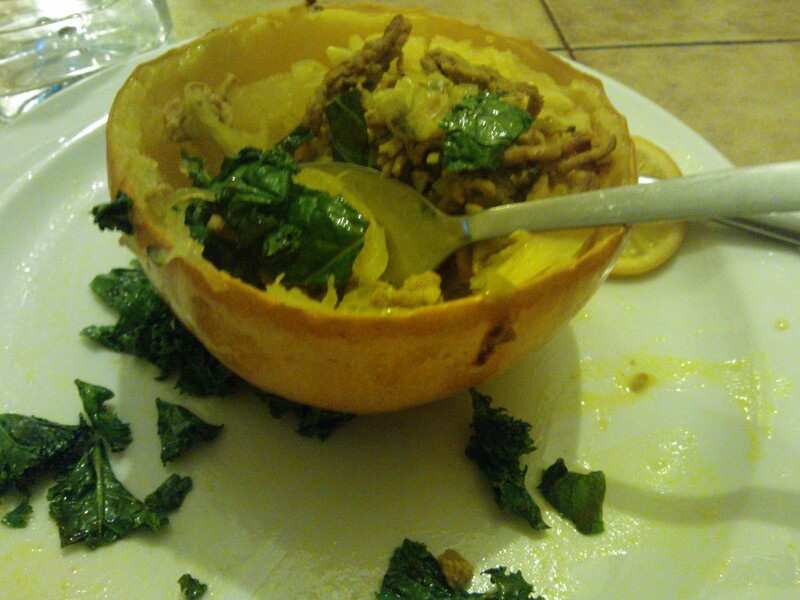 It’s one of the first dishes I cooked when finding out I had a damaged gut, so it made me feel better knowing I can eat tasty goodness like this. Oh, and please excuse the pictures, again! My phone was having issues, and I still don’t have a camera! 1. Preheat oven to 200°c, gas mark 6. 2. 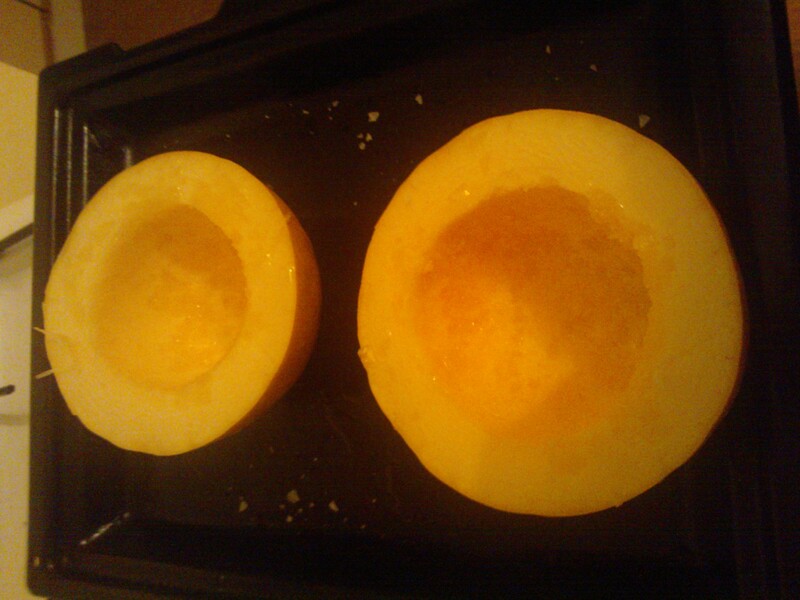 Cut your squash in half, and scoop out the seeds in the centre. 3. 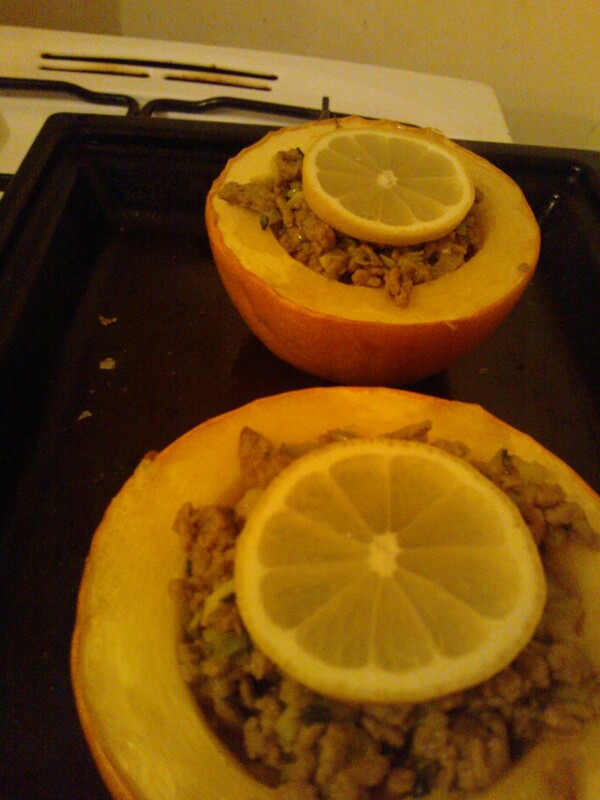 Drizzle with olive oil and season with sea salt, then place in the centre of the oven on a tray. Leave in for approx 40 mins. 4. 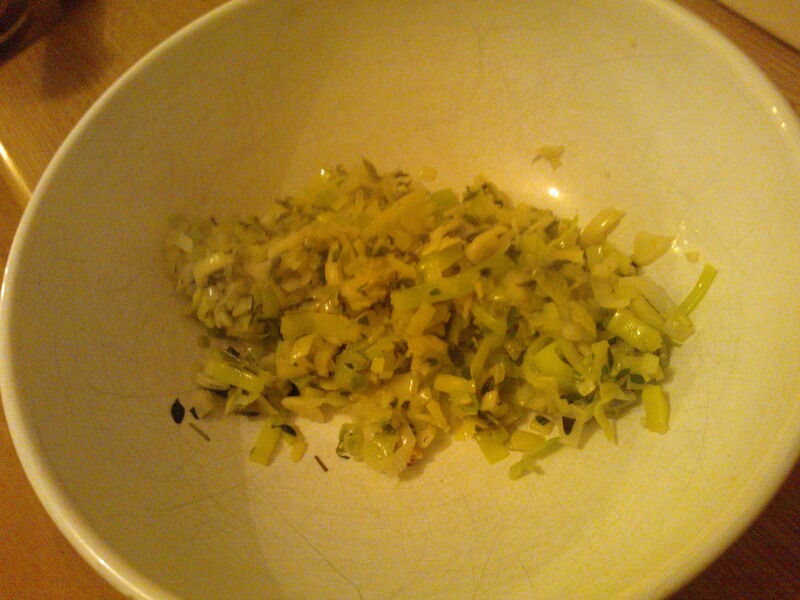 In the meantime, finely chop the leeks and place in a large bowl of water to wash. Drain. 5. 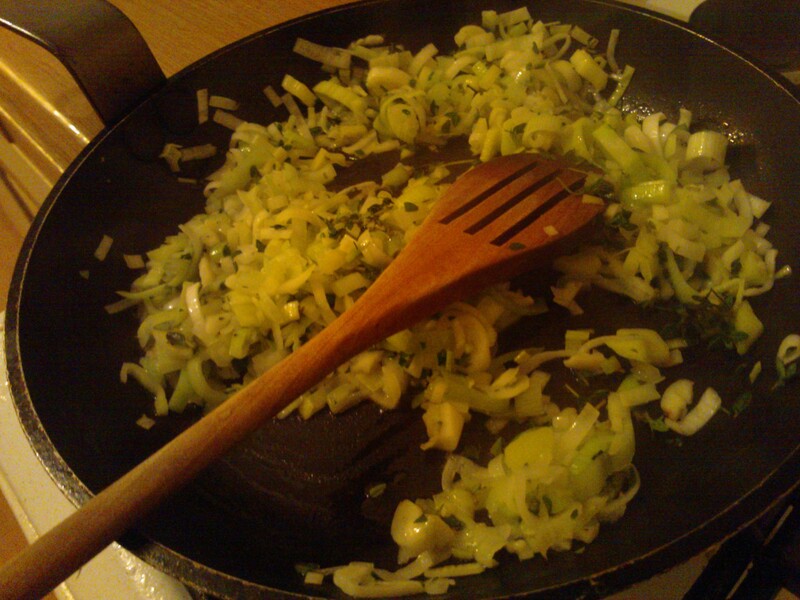 Heat a good glug of olive oil in a pan, add the thyme, finely chopped garlic and the leeks. 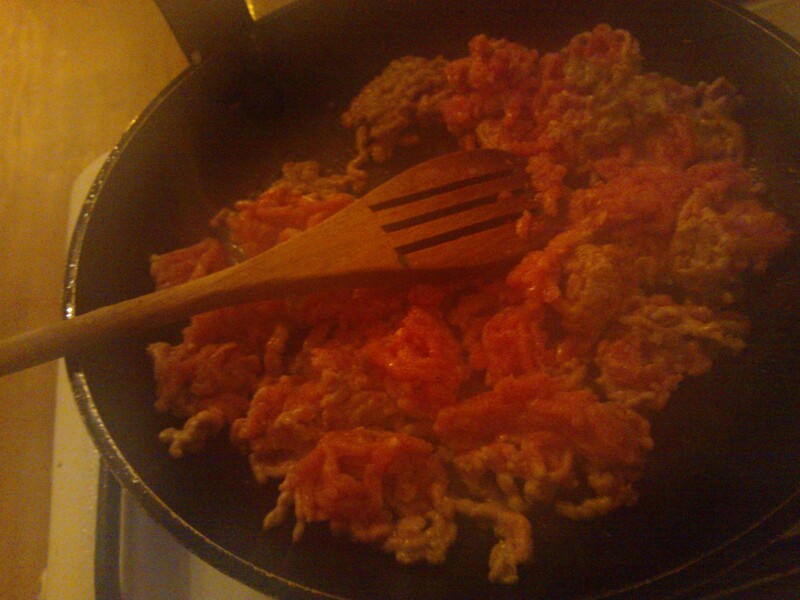 Cook on a med-low heat to soften, for about 5 minutes. 6. Season with a pinch of sea salt. 7. 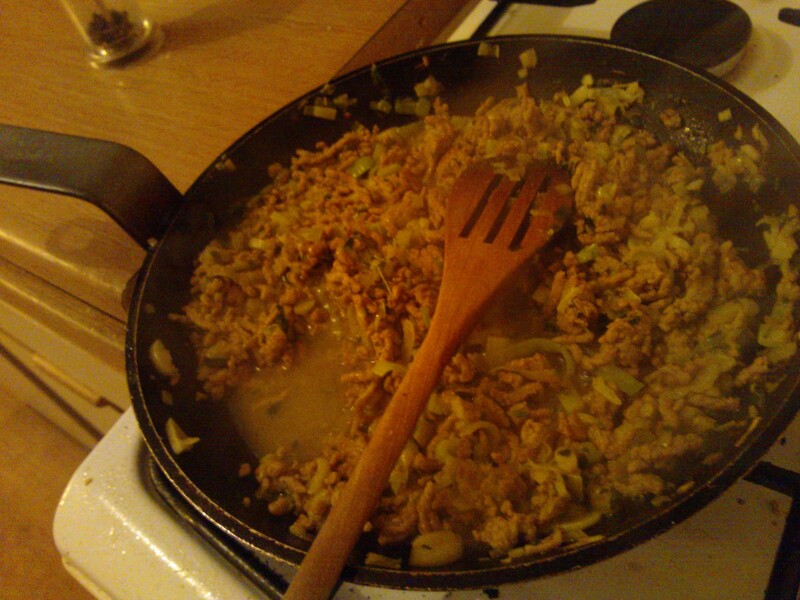 Remove the leeks from the pan, and on a high heat cook the pork mince until it starts to brown. 8. 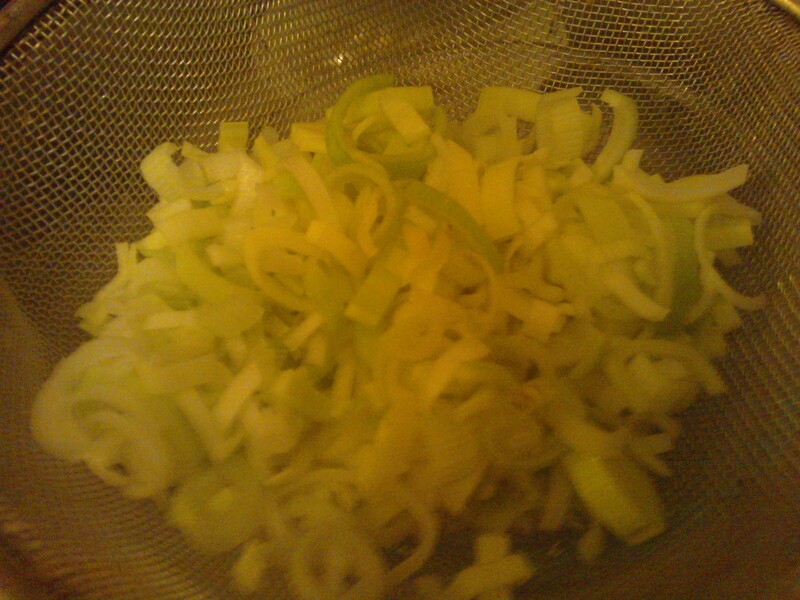 Add the leek mixture, turmeric, and the stock. Stir well to combine, and lower to simmer. Simmer for about 5-10mins, until there is only about 2 tbsp liquid in the bottom of the pan. Remove from heat. 9. 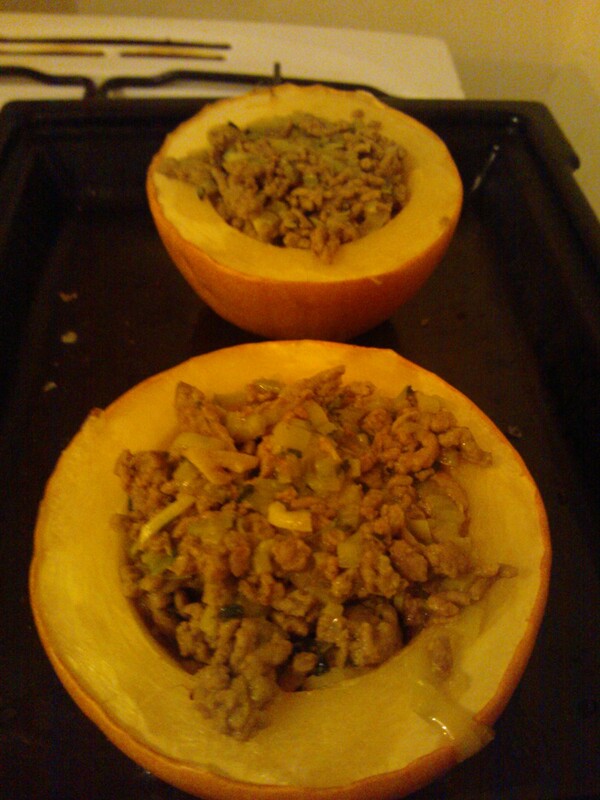 Remove the squash from the oven and drain any liquid there may be inside. 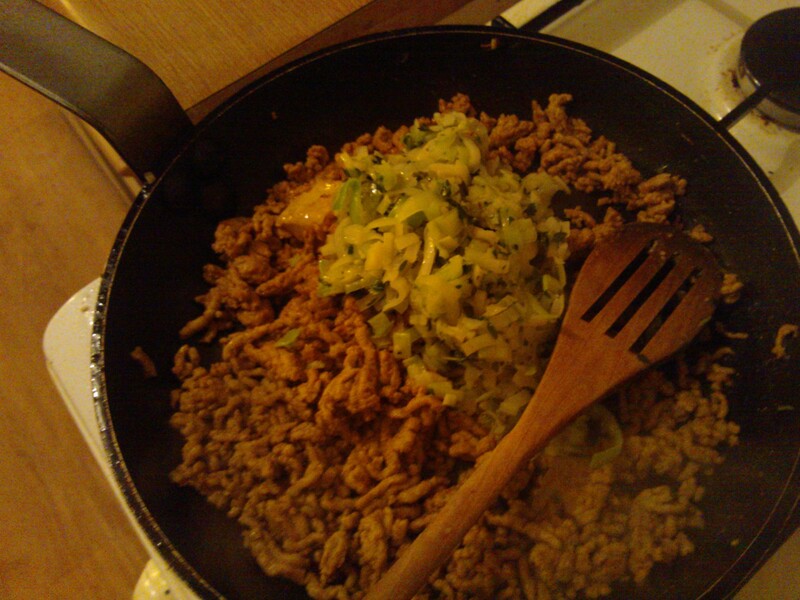 Spoon in the pork mixture, evenly distributing the liquid into both. 10. 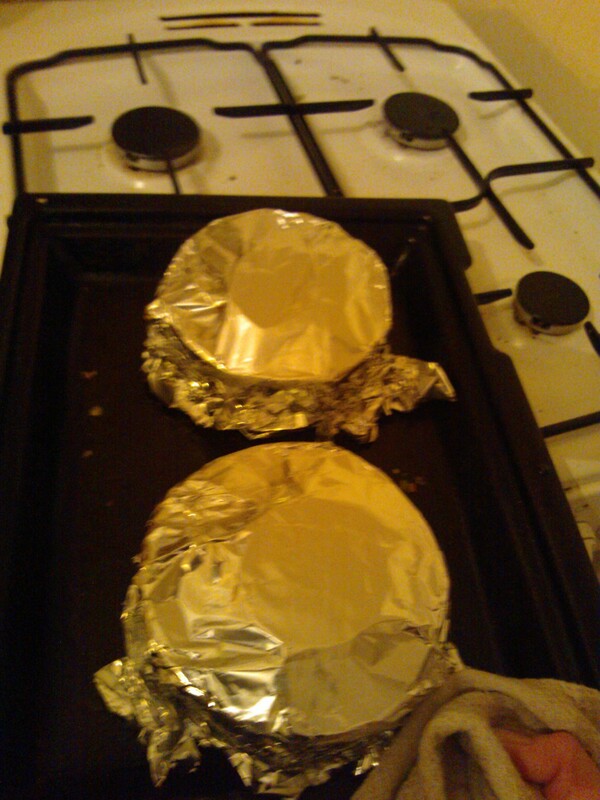 Place one slice of lemon on top of both, cover with foil and place back in the oven for 40mins.